More than 100 public water supplies serving 830,000 people are at risk of being contaminated by dangerous bugs and bacteria, authorities have warned. The latest review of drinking water revealed 6,769 people are still having to clean their tap water at home by boiling it. The Environmental Protection Agency (EPA) said that number came down from more than 25,000 on Tuesday after a major warning was lifted for villages and townlands in Co Galway. But its experts warned Irish Water to ramp up the amount it is spending on modernising and improving treatment plants to prevent further alerts being issued. Darragh Page, senior inspector of the EPA's office of environmental enforcement, said action would be taken if upgrade works are hit by avoidable delays. "Irish Water needs to accelerate the investment in remedial works at supplies listed on the EPA's Remedial Action List so that the threat of long-term water restrictions is eliminated," he said. The EPA said 108 drinking water supplies serving 830,000 people were at risk at the end of last year compared to 115 a year earlier. It said 37 of these supplies lacked the adequate treatment to stop cryptosporidium, a parasite that causes gastrointestinal illness, from contaminating tap water. Others are threatened by E.coli or chemicals and other supplies have no treatment except for chlorine being added. The EPA said that 86,000 people have had to boil their water this year to make it safe - twice as many as last year. One of those warning notices was issued to 46,500 people in Mayo getting water from Lough Mask after a cryptosporidium outbreak in late August. Mr Page said there was no obvious explanation for the outbreak. An audit in May 2015 warned of significant issues at the Lough Mask treatment plant which could result in cryptosporidium entering the water supply. The 17 boil notices still active across the country include homes and businesses in Ballyhaise in Cavan; Carron and Turlough in Co Clare; Kilconnell in Co Galway; Kiltyclogher in Co Leitrim; Loughill in Limerick; Longford; Baltrasna in Co Meathl; Ballinlough/Loughglynn supplies in Co Roscommon; Dundrum, Burncourt and Templetney, Co Tipperary; Nire, Dromore Upper and Ring/Helvick/Seaview supplies in Waterford; and Aughclare, Campile in Wexford and Johnstown South in Arklow, Co Wicklow. 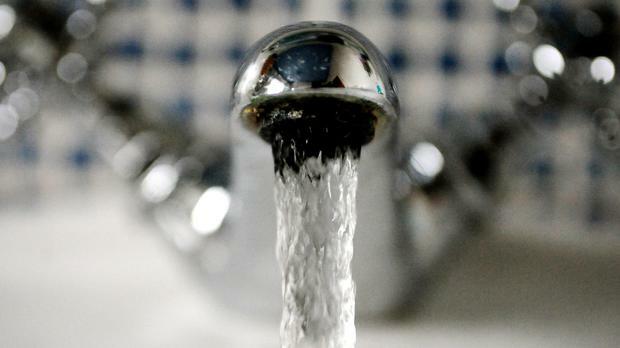 Irish Water said it was prioritising protection of customers against the risk of E.coli and cryptosporidium. It said since 2014 128,789 customers have been on boil water notices. Managing director of Irish Water Jerry Grant said: " It is essential that people have confidence in their drinking water and know that Irish Water is moving swiftly and decisively in co-operation with EPA and Health Service Executive wherever those high standards are not met. "That's why this report from the EPA is so important. Irish Water welcomes having an independent agency reviewing the work that we do to safeguard drinking water. This ensures the work of Irish Water is audited and held to the highest standards."